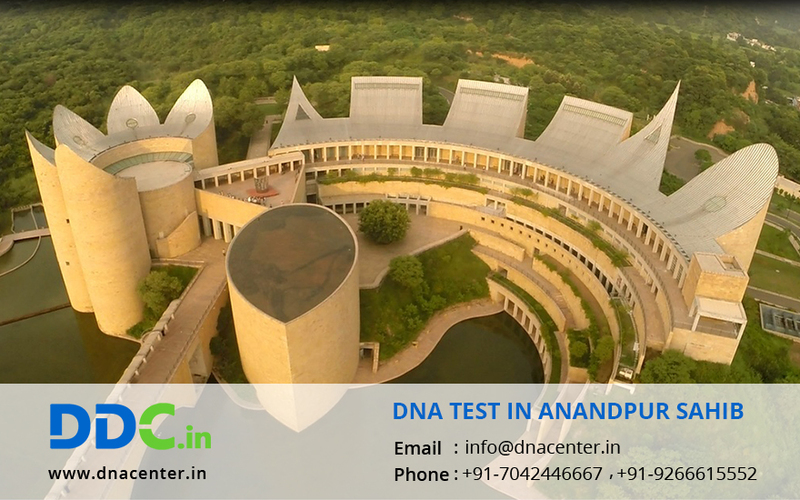 DNA Test in Anandpur Sahib Punjab will now become easy and affordable. All types of DNA tests are undertaken in our lab including, Paternity DNA testing, Maternity DNA testing, Grand-parentage DNA testing, DNA Test for immigration, DNA profiling, DNA test for infidelity, prenatal DNA testing and many more DNA tests. DDC Laboratories India is one of the topmost DNA testing centers in the world and has opened up sample collection centers in all the major cities of Punjab. Our testing laboratory is known for 100% accuracy, timely results, and reasonable prices. We do DNA tests with a recommendation from embassies in case of immigration applications for countries like the UK and others that need DNA test results to check relationships in the family for visa purposes. We are in coalition with DNA Diagnostics Center Inc. The USA, the world leader in providing AABB accredited DNA testing services. Many legal counselors with distinguished clients rely on us for authentic and accurate test results. We offer DNA testing services at cost-effective charges and as per government standards. For any queries related to DNA test in Anandpur Sahib Punjab please fill the below form and our executive will contact you. You can also give us a call for any further problems or to make an appointment at: 7042446667 or whatsapp us on 9266615552.